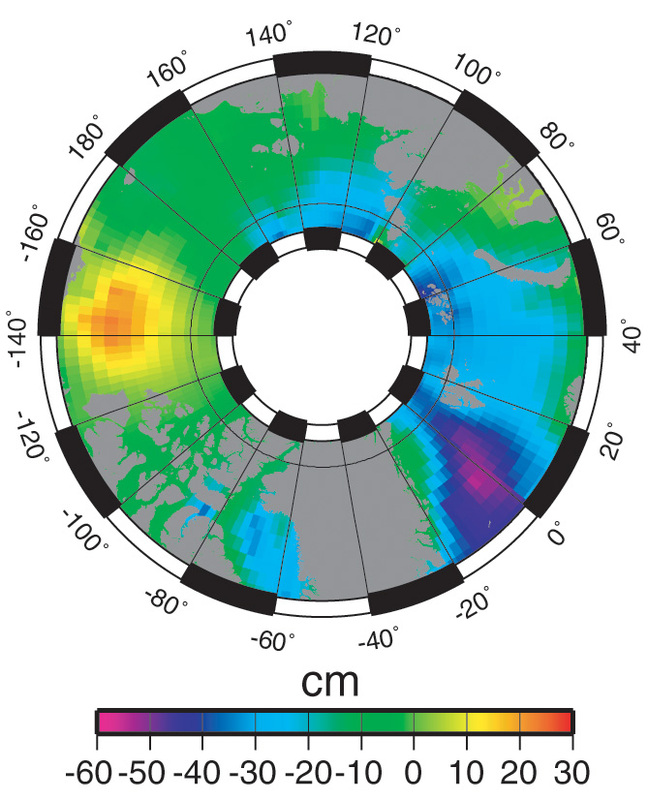 ESA satellites show that a large dome of fresh water has been building up in the Arctic Ocean over the last 15 years. A change in wind direction could cause the water to spill into the north Atlantic, cooling Europe. UK scientists have detected a huge dome of fresh water that is developing in the western Arctic Ocean. The team thinks it may be the result of strong winds whipping up a great clockwise current in the northern polar region called the Beaufort Gyre. This would force the water together, raising sea surface height, the group tells the journal Nature Geoscience. This is a mosaic of Envisat radar images acquired between 9 and 11 September 2011 over the Arctic Ocean. The sea ice extent highlighted in blue corresponds to the areas where more than 80% of the sea surface is covered by ice (from an analysis performed by the US National Ice Center). "In our data, we see the trend being biggest in the centre of the gyre and less around the edges," she told BBC News. 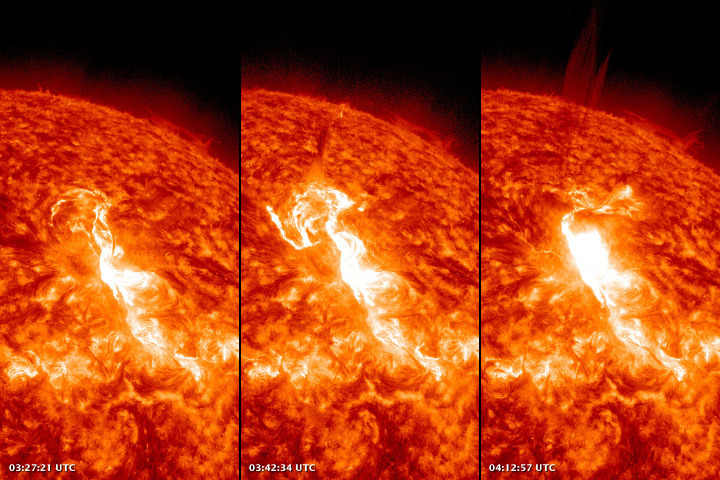 Dr Giles and colleagues made their discovery using radar satellites belonging to the European Space Agency (Esa). These spacecraft can measure sea-surface height even when there is widespread ice cover because they are adept at picking out the cracks, or leads, that frequently appear in the frozen floes. The data (1995-2010) indicates a significant swelling of water in the Beaufort Gyre, particularly since the early part of the 2000s. The rising trend has been running at 2cm per year. A lot of research from buoys and other in-situ sampling had already indicated that water in this region of the Arctic had been freshening. This fresh water is coming in large part from the rivers running off the Eurasian (Russian) side of the Arctic basin. Winds and currents have transported this fresh water around the ocean until it has been pulled into the gyre. The volume currently held in the circulation probably represents about 10% of all the fresh water in the Arctic. Of interest to future observations is what might happen if the anticyclonic winds, which have been whipping up the bulge, change behaviour. 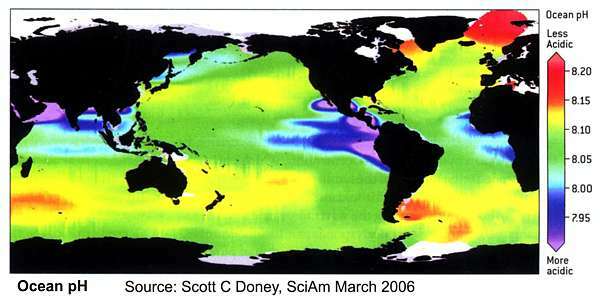 "What we seen occurring is precisely what the climate models had predicted," said Dr Giles. "When you have clockwise rotation - the fresh water is stored. If the wind goes the other way - and that has happened in the past - then the fresh water can be pushed to the margins of the Arctic Ocean. "If the spin-up starts to spin down, the fresh water could be released. It could go to the rest of the Arctic Ocean or even leave the Arctic Ocean." If the fresh water were to enter the North Atlantic in large volumes, the concern would be that it might disturb the currents that have such a great influence on European weather patterns. These currents draw warm waters up from the tropics, maintaining milder temperatures in winter than would ordinarily be expected at northern European latitudes. The USS Annapolis rests on the Arctic Ocean after breaking through three feet of ice. The creation of the Beaufort Gyre bulge is not a continuous development throughout the 15-year data-set, and only becomes a dominant feature in the latter half of the study period. This may indicate a change in the relationship between the wind and the ocean in the Arctic brought about by the recent rapid decline in sea-ice cover, the CPOM team argues in its Nature Geoscience paper. It is possible that the wind is now imparting momentum to the water in ways that were not possible when the sea-ice was thicker and more extensive. "The ice is now much freer to move around," said Dr Giles. Arctic Ocean mean sea-surface with respect to the geoid for the past 15 years of satellite radar altimetry data. The Beaufort Gyre is the yellow/orange dome in the Western Arctic. "So, as the wind acts on the ice, it's able to pull the water around with it. Depending on how ridged the surface of ice is or how smooth the bottom of the ice is - this will all affect the drag on the water. If you have more leads, this also might provide more vertical ice surfaces for the wind to blow against." One consequence of less sea-ice in the region is the possibility that winds could now initiate greater mixing of the different layers in the Arctic Ocean. Scientists are aware that there is a lot of warm water at depth. At present, this deep water's energy is unable to influence the sea-ice because of a buffer of colder, less dense water lying between it and the floes above. But if this warm water were made to well up because of wind-driven changes at the surface, it could further accelerate the loss of seasonal ice cover. 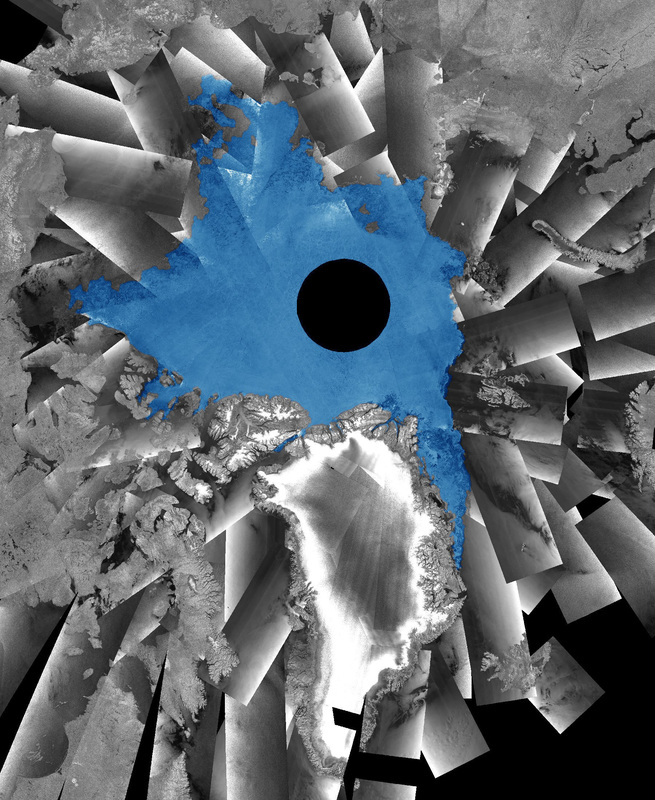 The CPOM team is now investigating the likelihood of this happening with Cryosat-2, Esa's first radar satellite dedicated to the study of the polar regions. "We now have the means to measure not only the ice thickness but also to monitor how the ocean under the ice is changing," says Dr Seymour Laxon, director of CPOM and co-author of the study, "and with CryoSat-2, we can now do so over the entire Arctic Ocean." 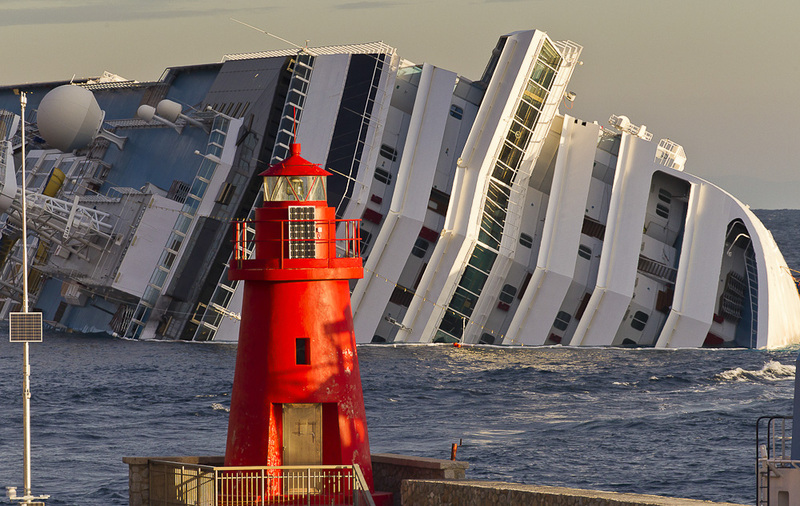 Stone fortresses and watchtowers that centuries ago stood guard against marauding pirates loom above pristine waters threatened by a modern peril: fuel trapped within the capsized Costa Concordia luxury liner. A half-million gallons (2,400 tons) of heavy fuel oil is in danger of leaking out and polluting some of the Mediterranean's most unspoiled sea, where dolphins chase playfully after sailboats and fishermen's catches are so prized that wholesalers come from across Italy to scoop up cod, lobster, scampi, swordfish and other delicacies. "Even the Caribbean has nothing on us," said Francesco Arpino, a scuba instructor in the chic port of Porto Ercole, noting how the sleek granite sea bottom helps keep visibility crystal clear even 135 feet (40 meters) down. Divers in these transparent waters marvel at an underwater world of sea horses and red coral, while on the surface sperm whales cut through the sea. But worry is clouding this paradise, which includes a stretch of Tuscan coastline that has been the holiday haunt of soccer and screen stars, politicians and European royals. Rough seas hindering divers' search for bodies in the Concordia's submerged section have also delayed the start of a pumping operation expected to last weeks to remove the fuel from the ship. Floating barriers aimed at containing any spillage now surround the vessel. According to the Dutch salvage firm Smit, which has been contracted to remove the fuel, there are about a half million gallons (2,400 tons) of heavy fuel oil on board, as well as some 200 tons of diesel oil and smaller amounts of lubricants and other environmentally hazardous materials. The ship lies dangerously close to a drop-off point on the sea bottom. Should strong waves nudge the vessel from its precarious perch, it could plunge some 90 feet (30 meters), further complicating the pumping operation and possibly rupturing fuel tanks. Italy's environment minister has warned that if the tanks break, the thick black fuel would block sunlight vital for marine life in the seabed. A week after the Concordia struck a reef off the island of Giglio, flipping on its side, its crippled 114,000-ton hull rests on seabed rich with an underwater prairie of sea grass vital to the ecosystem. Environmentalists warn the sheer weight of the wreckage has likely already damaged a variety of marine life, including endangered sea sponges, and crustaceans and mollusks, even before a drop of fuel leaks. "The longer it stays there, the longer it impedes light from reaching the vegetation," said Francesco Cinelli, an ecology professor at the University of Pisa in Tuscany. The seabed is a flourishing home to Poseidon sea grass native to the Mediterranean, Cinelli told The Associated Press in a telephone interview. "Sea grass ... is to the sea what forests are to terra firma," Cinelli said. They produce oxygen and serve as a refuge for organisms to reproduce or hide from predators. The Tuscan archipelago's seven islands are at the heart of Europe's largest marine park, extending over some 150,000 acres (60,000 hectares) of sea. They include the islands of Elba, where Napoleon lived in exile, and Montecristo, a setting for Alexandre Dumas' novel "The Count of Monte Cristo," where rare Mediterranean monk seals have been spotted near the coast. Montecristo has a two-year waiting list of people hoping to be among the 1,000 people annually escorted ashore by forest rangers to admire the uninhabited island. Navigation, bathing and fishing are strictly prohibited up to a half mile (one kilometer) from Montecristo's rocky, cove-dotted coast. A monastery established on the island in the 7th century was abandoned 900 years later after repeated pirate raids. Come spring, Porto Ercole's slips will be full, with yachts dropping anchor just outside the port. A steep hill provides a panoramic view of a sprawling seaside villa, once a holiday retreat of Dutch royals, and of the crescent-shaped island of Giannutri, with its ancient Roman ruins. Alberto Teodori, who said he has been hired as a skipper for the yachts of Rome's VIPs for 30 years, noted that the area thrives on tourism in the spring and summer and survives on fishing in the offseason. If the Concordia's fuel should pollute the sea, "Giglio will be dead for 10, 15 years," Teodori fretted, as workers nearby shellacked the hull of an aging fishing boat. The international ocean-advocacy group, Oceana, describes the national marine park as an "ecological diamond," favored by divers for its great variety of species. "If the pollution gets into the water, we are ruined," said Raffaella Manno, who with her husband runs a portside counter selling fresh fish in Porto Santo Stefano, a nearby town where ferries and hydrofoils depart for Giglio. She said fish from the archipelago's waters are prized throughout Italy for their quality and variety. "The water is clean and the reefs are rich" for fish to feed, she said, as trucks carrying oil-removal equipment waited to board ferries to Giglio. "The priciest markets in Italy come here to buy, from Milan, Turin, even Naples." Concordia's captain, initially jailed and then placed under house arrest in his hometown near Naples, is suspected of having deliberately deviated from the ship's route, to hug Giglio's reef-studded coastline in order to perform a kind of "salute" to amuse passengers and islanders. The maneuver is apparently a common practice by cruise ships, environmentalists lament. "These salutes are an established practice by the big cruise ships," said Francesco Emilio Borrelli, a Green party official from Naples. He said that the Greens have received reports of numerous such sightings by ships sailing by the Naples area islands of Capri, Ischia and Procida. Even before the Concordia tragedy, environmentalists had railed against what they brand "sea monsters," – massive cruise liners releasing huge amounts of greenhouse gases – sailing perilously close to the coast to thrill the passengers aboard. "These virtual cities put at risk the richness of biodiversity, which we must never forget is at the foundation of our very survival on Earth," said Marevivo, an Italian environmental group. TheGuardian : What impact will the Costa Concordia disaster have on the environment? 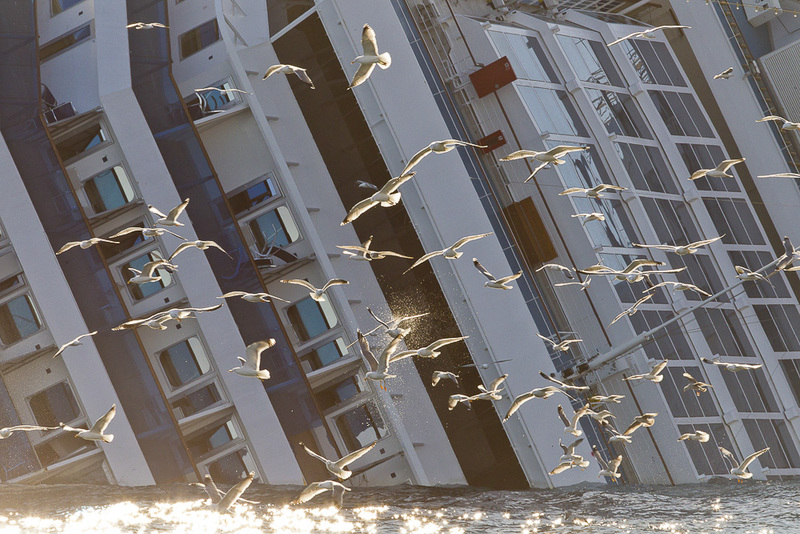 NewScientist : Will the Costa Concordia become an oil-spill disaster? 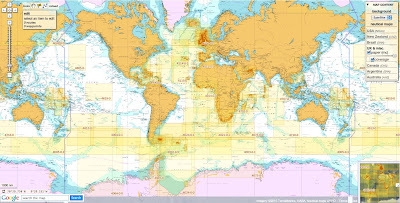 So today, for a cost of 9.9 € / month ('Premium Charts' subscription), you can have access to 2185 additional updated charts (4233 including sub-charts) coming from 3 international Hydrographic Services (UKHO, CHS, AHS). The IPCC forecasts that ocean pH will fall by "between 0.14 and 0.35 units over the 21st Century, adding to the present decrease of 0.1 units since pre-industrial times"
There's more this week on the critical but in some ways under-covered issue of ocean acidification. At root, it's simple chemistry. Carbon dioxide goes into the air from factory chimneys and hearths and car exhaust pipes, and some of it ends up dissolved in seawater, as carbonic acid. As carbon dioxide in the atmosphere now tops 380 parts per million (ppm), whereas the past few million years have seen oscillations between about 180 and 280ppm, it's hardly a surprise that seawater is now more acid than during this recent period of Earth history. It's been much higher in previous ages; but as always, it's not just the scale of the change that's important, but the speed. A new study in Nature Climate Change journal has tried to measure the current rate of change against what happened in pre-industrial times. It's reliant on computer models to provide historical estimates; but with that caveat, the numbers are startling, suggesting that the current rate of acidification is two orders of magnitude bigger than what happened at the end of the last Ice Age. Can marine animals, plants and ecosystems live with that? If so, what will the oceans look like in the future? Will they still be able to provide us with the food we need? Some experiments in the laboratory and in "natural laboratories", where CO2 seeps into the sea from the slopes of underwater volcanoes, suggest problems ahead. For example, just last week an Australian research team found that moderately enhanced CO2 levels in seawater affect the brain chemistry of fish, changing operation of neurotransmitter chemicals that carry messages between neurons. 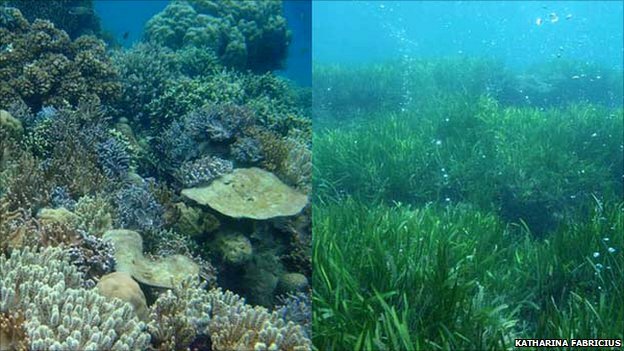 Observation of a natural CO2 seep near Papua New Guinea shows a healthy reef (l) away from the vent, but just seagrass (r) nearby - a picture of the seas in years to come? Some readers may already have fingers poised ready to write comments along the lines of "it's not a rise in acidity, it's a fall in alkalinity - so don't call it acidification". At pH8.1 and falling, seawater is heading from the alkaline towards neutral. But although that point is correct, it's also irrelevant. Organisms and ecosystems adapt to whatever acidity or alkalinity they find, and need time to do so; and in some cases, such as with animals that need to form shells, adaptation may be impossible. Anyway, there's a wealth of evidence out there that ocean acidification is of concern - perhaps even more than the climatic effects of CO2 emissions - so I'm not going to provide a catalogue here. If it is of concern, you might think there would be some kind of international agency or treaty or framework charged with tackling it. If you think that, you'd be wrong. Acidification currently falls through the dividing lines that separate various UN institutions. The climate change convention doesn't mention it, largely because it emerged as a potentially serious issue after the convention's establishment in 1992. These days, acidification often crops up in speeches at the annual climate meetings, but rarely makes it into agreements. Treaties on oceans, meanwhile, cover issues such as rights of access for shipping, fisheries, and pollution of the locally-acting kind. And where should acidification fit, bearing in mind that the cause of the problem is so closely tied to the one supposedly being addressed in the climate convention whereas the impacts would be scattered around those relating to marine life, food and economic activity? June's Rio+20 summit offers a way to put the issue on the tables of presidents and prime ministers; and it's a move being actively pursued. Unesco's International Oceanographic Commission is one of the UN bodies keen to see acidification high up the Rio agenda; and this week, its executive secretary Wendy Watson-Wright explains why on the RTCC group's website. As with climate impacts, there is an agenda concerned with dealing with the impacts of acidification, as well as the agenda concerned with reducing the trend itself. A few years back, for example, scientists showed that keeping the fish population balanced and healthy on a reef offers some protection against impacts of rising water temperatures and acidity. There's are ways to do this sort of thing through existing national and international mechanisms - provided the importance and the methods filter through. Acidification is on the Rio agenda in the sense that the initial draft has a clause reading "We also propose to implement an international observing network for ocean acidification and to work collectively to prevent further ocean acidification". Climate change has increased wind speeds, causing many birds to travel faster. Wandering albatrosses are benefiting from the changes now, with shorter trips, improved breeding, and weight gain. The benefits may be temporary, because pattern shifts could prevent birds from reaching foraging areas. Wind speeds over the Southern Ocean have been increasing over the past three decades and those stronger winds are boosting birds in the area to faster flying speeds, according to new research. The wind speed shift is linked to climate change in the study, which was published in the latest issue of Science. The impact, at least for now, is a boon for certain birds. It shortens the length of their foraging trips, improves their breeding success, and is even causing birds to gain over two pounds in weight. The scientists focused their study on the wandering albatross, a bird that spends most of its life in flight, touching down on land mostly just to find food or to breed. The windy Crozet islands in the Southern Ocean have been home to one population of such albatrosses for ages. The researchers believe that other birds, like petrels, have been affected by the wind changes too. "Winds have increased overall at the world's oceans, with some areas being more affected than others, but still the increase is global," lead author Henri Weimerskirch told Discovery News. "The advantage we have with the Crozet is that we have a long term record of the population parameters, and also the movements of the birds, which is a unique situation." Weimerskirch, a researcher at France's Centre d'Etudes Biologiques de Chize, and his team analyzed 40 year's worth of information on the Crozet albatross population. For decades, researchers have monitored the birds' feeding and breeding, and in 1989 they began outfitting the birds with satellite transmitters to track their travels. The researchers found that westerly winds in the Southern Ocean have increased, on average, by 15 percent over the past few decades. Both female and male flight speeds got a boost as a result, with females alone traveling about 311 miles per day in 1990, but about 435 miles per day as of 2010. Easier flights for the birds have improved their breeding success, allowing them to grow larger. As it is, this species has the largest wingspan of any living bird. It's possible that the weight gain is an adjustment to the speedier winds, allowing the birds to experience greater wing loading while in flight. In addition to heightened wind speeds, the westerlies in the Southern Ocean are also now gradually moving poleward. All animals in the region, from birds to their prey, have likely been affected by the changes. "Many albatrosses and petrels are using wind for their movements, either when they search for food during central place foraging movements, or for their migratory movements over the oceans, thus these changes should undoubtedly affect many other species," Weimerskirch said. "They should affect the food web, by increasing current strength, turbidity and therefore production, but this aspect is not well known so far." At present, birds appear to be benefiting from the wind shifts, which the researchers attribute to climate change. But these positive consequences of global warming may be temporary if patterns of wind in the southern westerlies follow predicted climate change scenarios. Weimerskirch explained that models predict wind strength will continue to increase, and that the poleward shift will continue. 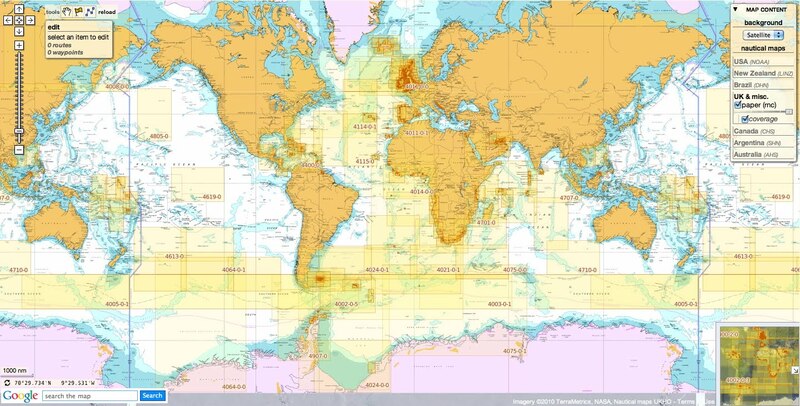 By 2080, the westerly flow now centered around Crozet will be further to the south, taking away the bird's easy ride. At present the birds are also under constant threat from longline tuna fisheries, which have indirectly killed many albatrosses and other animals. Scott Shaffer, an assistant professor of biology at San Jose State University, studied wandering albatrosses back in the late 1990s, as part of his doctoral thesis. Shaffer told Discovery News that he was struck by the changes documented to the birds' body weight. "This is one of the most surprising aspects of the study and is consistent with the changes in wind patterns because wind is everything to these birds and body mass changes influence their flight performance," Shaffer said. "To see such changes over this time period is amazing."